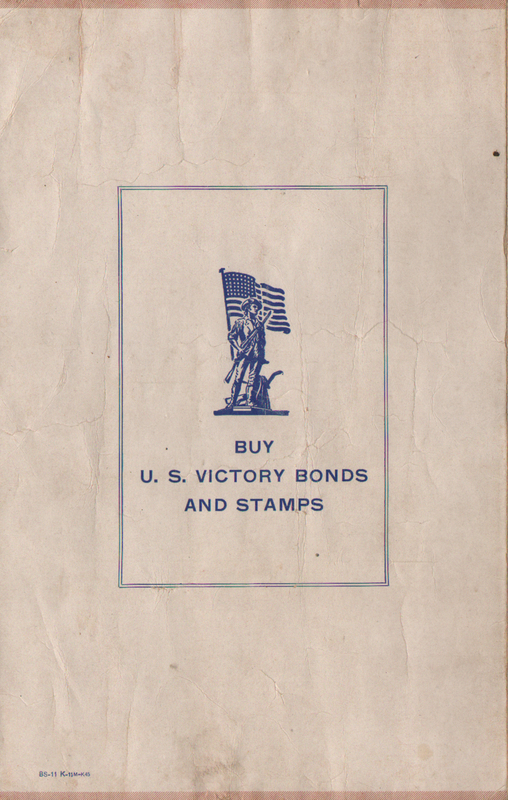 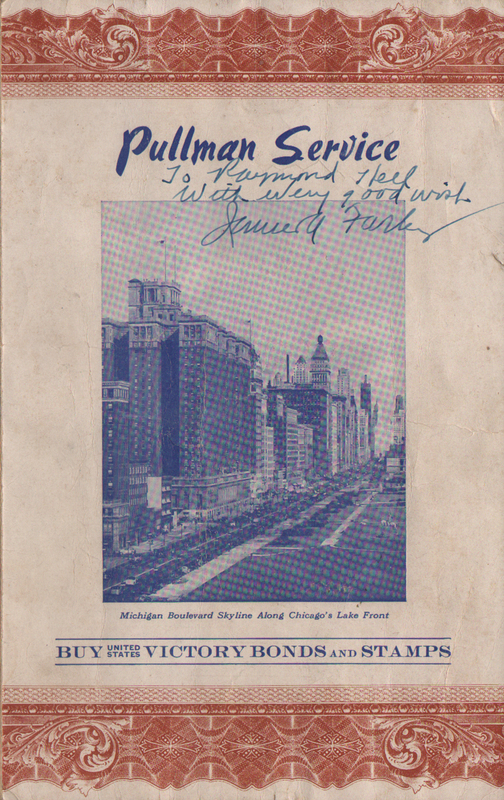 Description Pullman 1945 Lounge and Club Car Menu Service With a picture on the cover of Chicago's famous Michigan Boulevard (Avenue) Skyline Along Chicago's Lake Front - Buy United States Victory Bonds and Stamps. Chicago is a natural for a cover photograph since so many railroads served the city and it is the home of Pullman. 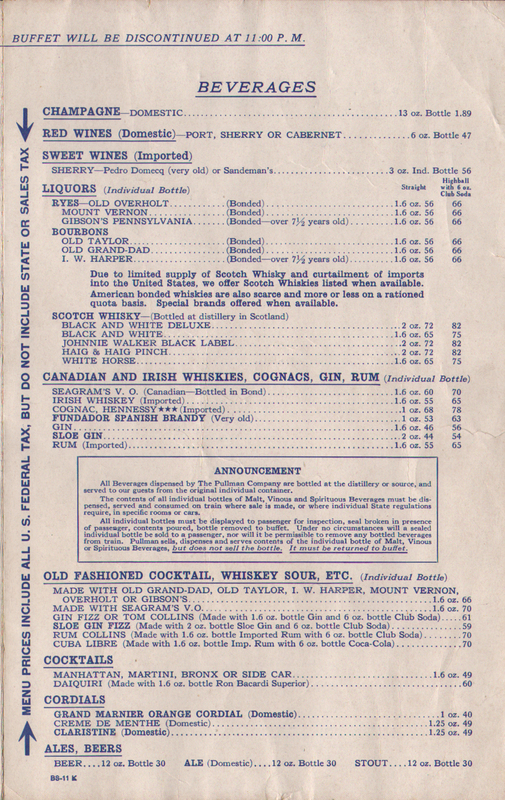 This picture was used on numerous menus. 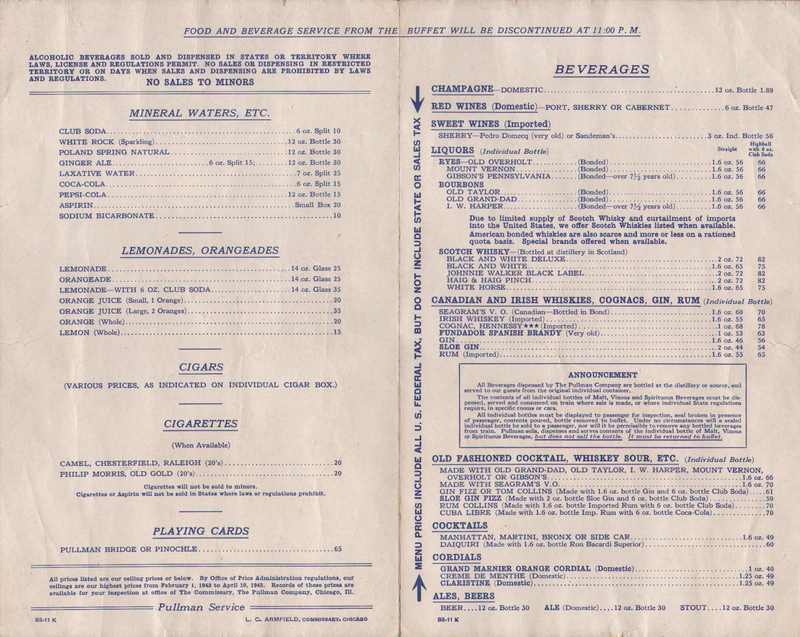 As an added bonus, this menu was signed by James A. Farley - Postmaster General and head of the Democratic Party under FDR. 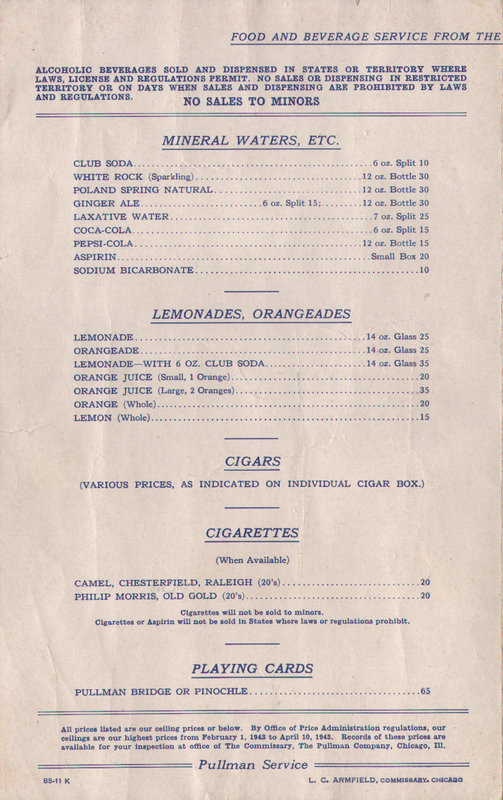 Later Chairman of Coca-Cola overseas division.